If you signed up for the service? What has been your experience so far? First off i have to applaud Vince McMahon for putting on a fantastic show. I’m a big fan of Monday night Raw and Friday night Smack Down. But other than watching last years WrestleMania PPV i don’t normally pay for premium TV channels or order PPV shows. But with all the Hype that Micheal Cole and the King have been doing on the TV shows it appears to be a bargain for $9.95 month. Then Monday night they dropped the bomb, It’s ONLY $9.95 month with a SIX Month Commitment. I’m so far turned off about that part of the subscription. I’m divorced and just thinking about getting married to the WWE Network for 6 months is a turn off to me. At least at this point anyway. I don’t mind throwing a one time $10 spot into it and then decide if i want to continue for a longer period. I also can appreciate the 1 week free trial, but think that’s a little short to really evaluate the service. Possibly Vince could make that free trial 2 weeks to allow a better evaluation period? When Monday night Raw was on TV i had downloaded the WWE app and had problems connecting. The app just said it was buffering, no doubt trying to start a video stream that was possibly overloaded at the moment. I fired off a tweet to @WWE saying that but didn’t get a reply back. It’s unusual for a service using Twitter to promote themselves not to promptly reply back to a tweet. Maybe Vince’s new WWE Network is such a success he don’t feel the need for any customer service team. I’ve had a better and more satisfying response from my cable company and smartphone provider by tweeting them and being followed up by personal messaging using Twitter than calling customer service. Oh well that’s Doc’s rant for the day. As a webmaster i know it must take a good sized content delivery network to steam HD Video. Bottom line here is. Have you signed up for the WWE Network yet? And if so how do you like it? How well does it stream to your device? Any service interruptions? Video stalling and starting? What are your thoughts about the 6 month commitment? And any other thoughts you might like to add? Updated 03/02/2014: I’m on day 3 of my one week free trial. Last night and today when i fire up the WWE App on my Samsung Galaxy S3 the content menu is gone. Upon start up i get a screen that says “Tap Here to watch the WWE Network Now” tapping that starts a stream of whatever is currently playing. There was a content menu that i could choose other channels or streams previously. I watched the last two PPV events on Friday. Now that option is gone. Wonder whats up? Last night the app had trouble starting up. It displayed “Getting Location” for probably 30 seconds. Many times it then displayed a message that it was unable to start video stream. Just wondering if the CDN is seriously saturated with requests? As many fans as the WWE has I’m thinking they need to drastically increase the resources. Could be a reason the selection menu is gone and it’s just playing a single pre-defined channel. It’s not worth the $$ if that’s how the WWE Network is going to be operated. One minute you can select what you want to watch – then the next you have to watch what the WWE Network feeds you. The initial $9.95 is not bad. But the 6 month commitment when a service is clearly having major problems is what concerns me the most. I’ve got 4 more days to decide whether to keep it or cancel. And WWE Network is not telling it’s membership anything about service outages or streaming resource problems that i have seen so far. Updated 03/04/2014: Got a Roku Streaming Player yesterday from amazon.com. Be forewarned if you go that route you must put a Credit or Debit Card, or PayPal account on file with Roku to be able to use their service. It’s to be billed if you order a PPV channel or show, otherwise there is no charge. My Roku adapter setup was easy and straight forward. After connecting the power and hdmi cable it booted right up. I entered my network password and it updated to it’s latest software. Then it went totally dark. I waited about 5 minutes and rebooted it. It went through it’s initial start up routine and then went dark again. At that time I’m saying whats up with this to myself, then another screen came up saying to go enter a code at roku.com/code. I set up my account and was on my way. Adding the WWE network to Roku was a cinch. Just enter WWE with the Roku remote brought up the WWE Network and i pushed OK to add it to my channel list. The WWE Network loaded quick and i had access to all the programming. The video stream quality was good but didn’t look like 1080p. Still was really good and I’m impressed so far. While the WWE was streaming i received a Skype video call and had trouble staying connected. Shutting off the Roku stream stopped my Skype call from being dropped. I have a mid level RoadRunner internet subscription. Speed averages 35/3 mbps so that should be enough downstream bandwidth to all both the WWE and Skype video call simultaneously. This morning on my WWE Network android app i still have no choice of what i want to watch. As it was last weekend the app goes right to a predefined show. 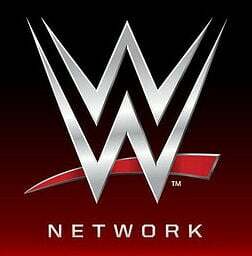 Updated 03/07/2014: OK the Android app is now showing a selection of available shows on the WWE Network. The Roku 3 streaming player is also working great with the wwe network. Watched the latest Elimination Chamber PPV yesterday and it was great!! So I’m committed to the six month contract. Doc, I didn’t know you were a wrestling fan. Are you a Hulk Hogan fan? He is also from Clearwater. I was thinking about singing up for it too just to see Hogan host Wrestlemania until I found out that it requires a 6 month commitment. I think I’ll save my money. I’m taking the 7 day test drive. It’s well worth the $9.95 month if it works well. Broke down yesterday and signed up. I’m impressed so far. Watched the last two PPV’s. The stream is clear and didn’t stall or have digital breakdown. Works well on my Android smartphone and tablet. Ordered a Roku box to stream to my TV so have to see how that works out at 1080p HD. I’m not really a fan of Hogan but have met him personally before. It should be interesting to see if he sticks with the WWE. The Rock came back in a similar fashion talked a lot of trash how he was BACK to the WWE but soon he disappeared again. He is the king at laying out a slick line of BS though. I do enjoy the show, and gotta give Vince and company credit for doing a great job with the effects and light show. A little disappointing i couldn’t watch Raw and Smack Down on the network. Was hoping for a no commercial version from the WWE Network.